Got a Faker in the house? Some kids act out by not brushing. Here’s how to spot them. Have you ever been surprised by multiple cavities at your child’s dentist visit? You insist that they’ve been brushing their teeth… but are you really sure? After all, just because they stand at the sink with a toothbrush doesn’t necessarily mean they’re brushing well, or even at all. Besides waiting for cavities to show up, how can you check up on your child’s brushing? We’ve written about it HERE, and specifically for kids HERE. But beyond the mechanics of a child’s brushing, there are things you can do to help engage young kids in the process. 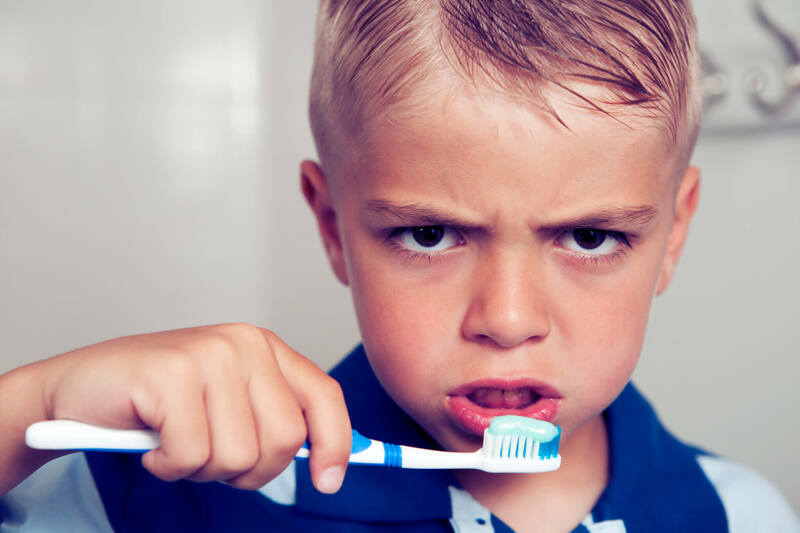 Brush Early – As you know, bedtime can quickly turn into tantrum-time when a child is tired. Don’t let their brushing routine get caught in the cross-fire. Give them choices – From toothpaste flavors and packaging, to brushes featuring movie characters, there are more options than ever. Let them pick their favorites. Make it FUN! – Sing while brushing, read a short story or make one up… any two-minute routine will do to entertain without distracting from the job at hand. There even a variety of timer apps that can help keep your little brusher amused and on-task. If you’re still having trouble, ask at your child’s next regular appointment. We have a few other tricks that may help.